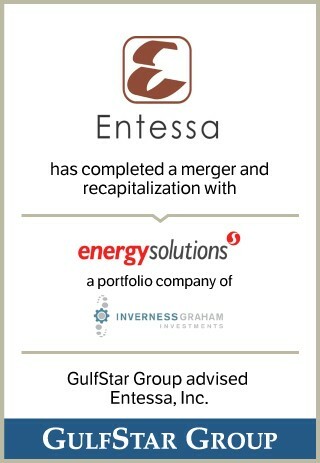 Based in Houston, TX, Entessa is a leading provider of logistics management software for the oil and gas supply chain. The Company’s core software solution, Synthesis™, was launched in 2006 and enables its customers to optimize their supply chain. Synthesis™ is an order-to-cash proprietary enterprise software program developed by Entessa that allows midstream, downstream and fully integrated energy companies to manage the logistical scheduling and operations, inventory management, billing and invoicing aspects of their business within one integrated product suite.